Trade shows and exhibitions can offer a powerful opportunity to make your company and its brands, products and services more visible to potential customers, as well as generate valuable new leads and incremental sales. They are also excellent venues for launching and promoting new products and services. As a meeting grounds for other companies in your industry, including direct competitors and marketers of complementary products and services, trade shows also offer a unique opportunity to gather competitive intelligence, stay abreast of trends in your industry, engage with potential customers and suppliers, and strengthen relationships with your current and past customers. It's important to have a comprehensive strategy in order to maximize your trade show success. Spectrum Printing Company can assist you in developing that strategy, and arm you with the sales and marketing tools you will need to achieve maximum benefit from your investment of time and resources. Develop a new brand identity, or refresh your current one, to make sure you present the best possible image of your company at the trade show. Develop and implement integrated marketing campaigns that will run before, during and after the event in order to attract and engage prospects and generate leads and sales. Based on the booth size and layout you've selected, identify the most effective graphic design elements for your exhibit that portray your key messages and fulfill your brand communications needs. This includes designing and producing banners, signs, brochures, and other materials. Brainstorm with you to identify and execute alternative and attention-grabbing ideas for your trade show booth that will create buzz on the floor and attract visitors to your display area. Select cost-effective giveaways and promotional products that have high-perceived value among your targeted prospects and complement your company image. Produce print and digital versions of whitepapers for distribution at the trade show and on your website to increase lead conversion. Equip your staff with business cards, email signup lists and visitor registration forms, presentation materials, sales kits, product and servicebrochures or booklets. Execute effective follow-up campaigns with the leads you generated at the trade show. While every organization has different goals and objectives for participating in trade shows, Spectrum Printing Company will work with you to first determine your criteria for success, then develop and execute a custom-designed approach to achieve your goals. Ready to start planning for your next Trade Show appearance? Just complete the form nearby and one of our trade show marketing specialists will contact you shortly or call us at (520) 571-1114. 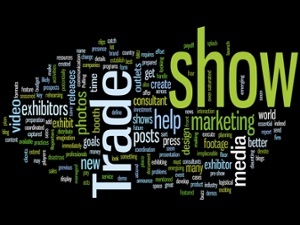 Start Preparing for Trade Show Success!